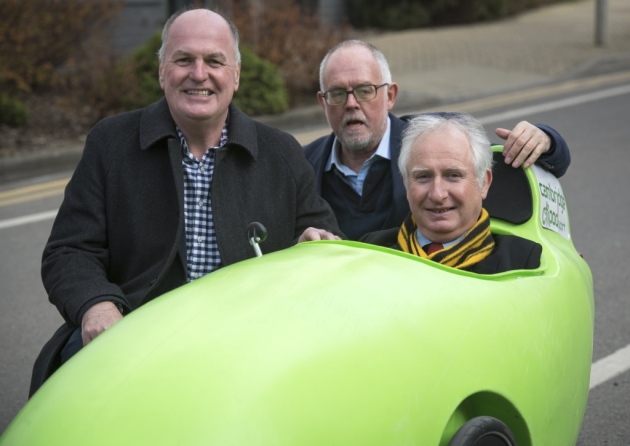 Cambridge Labour MP Daniel Zeichner got behind the bars of a CitiPod, a vehicle Cambridge Electric Transport is calling the future of transport. The CitiPod, a venture by entrepreneur Peter Dawe, is pedal-powered and electric assisted. Mr Zeichner said: “Much-improved battery technology and light, tough protection makes the citipod a genuine option for short journeys, and it’s great fun!